Cover Artwork: Jessie Lendennie, photography. The poems in Songs from the Blue River seek to give voice to the land and its inhabitants, both human and non-human. Mountains, rivers, lakes, glaciers, starlings, earthworms, oak trees: all have their say, as do the humans who live with and through them. The struggle to be human in a world which is alive with myth, magic and strange, wild energies is the thread running through this collection. Many of its poems were written in the wilds of Patagonia, and their rhythms are influenced by the song of that wild landscape and its inhabitants. 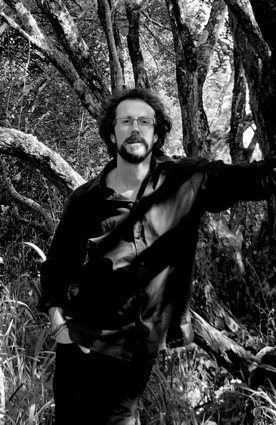 PAUL KINGSNORTH is a novelist, poet and essayist. He is the author of two novels and three books of non-fiction. 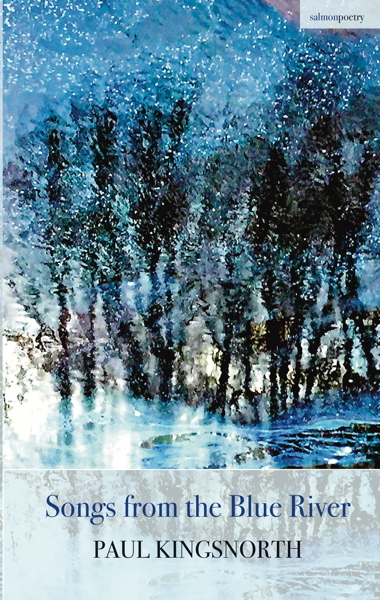 His debut collection, Kidland and other poems, was published by Salmon in 2011. He is co-founder of the Dark Mountain Project, an international network of writers and artists searching for new stories for an age of upheaval. He lives in County Galway, Ireland.